Between Paris and Fontainebleau, the 4-star Mercure South Paris Parc du Coudray opens the doors to you of this beautiful residence set in the greenery of its own 50 acre park. To unwind, organise your marriage or work in quiet surroundings, you will appre ciate our modern facilities and the areas for your well-being. Huge meeting areas, heated outdoor pool, golf driving range and tennis courts, everything is there for work or to recharge your batteries close to Paris. 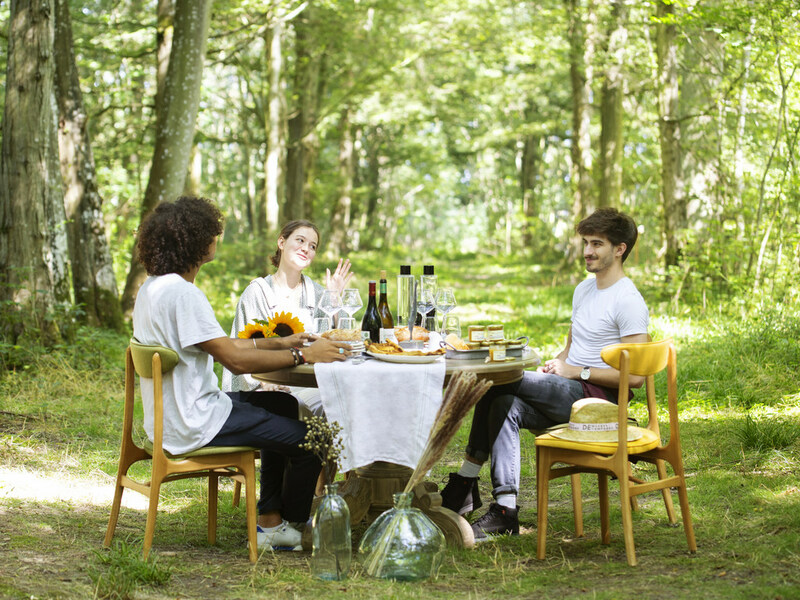 Not far from Orly Airport and central Paris, the Mercure South Paris Parc du Coudray is breath of fresh air to be discovered in the Essonne valley. Also discover the Mill of Claude François and the chateaux of Fontainebleau and Vaux le Vicomte. Daylight filled meeting rooms, free WiFi, a restaurant on the terrace next to the pool, a natural setting for your receptions, private parking: for relaxation or work, discover this Mercure hotel set in its casket of greenery close to Paris. Choose from rooms overlooking the pool, tennis court, or wooded park. Family or connecting rooms and rooms for people with reduced mobility are available. Classic Room - 1 double bed and 1 single sofa bed. We offer a seasonal and innovative fine dining menu. Our sommeliers will advise you on the best wine matches. On sunny days, enjoy the peaceful terrace surrounded by the park. We booked the Mercure last minute and were pleasantly surprised having never previously stayed at a Mercure. The staff were friendly and helpful and responded to our requests promptly. The room was spacious and comfortable, ideal for a family of three. Great room but bad dinner. The room was great and really clean. But the dinner wasn't: as starters, we took &quot;oeufs cocottes&quot; - at first they were cold, the waiter took them back to the kitchen and when they were brought back, the white of egg was still raw - really disappointing for this typical French starter. Further to this, the lighting in the dining room is appropriate for a breakfast but isn't (at all) for a dinner. Too much work going on at the hotel, highly disruptive. Reception staff not very friendly, unlike the bar staff. Room service intermittent, sometime I get a bottle of water but on most occasions not and on one day they removed all my towels and didn't replace. Dear Meander14603578696, Indeed, renovations are underway in our hotel. We have completed the renovation of our rooms, our restaurant and our promroom. Only one part of our reception hall remains under construction, this one being very soon finished. We are sorry for the gene caused by noise nuisances. Please be aware that we are doing everything possible to limit this inconvenience by focusing our work on day and week schedules only. We are sorry that our room service and our réception staff weren't up to your expectations.You can be sure that we are already working to correct these inconveniences. Thank you again for sharing your experience. We hope have the pleasure to welcome you again and regain your trust. Best Regards, Jean-Charles BOSC Directeur-Adjoint. My experience was different than a regular hotel guess. I felt on the parking lot around 17h45 due to a difference in level on the parking as coming towards the main entrance. The parking lot lights were not working and the area was dark. I asked for the front desk to call the ambulance since I was not able to walk. It took more than an hour for the front desk to do so. When I spoke with them in the am after coming back from the hospital, they told me that they are not responsible. They did not show any concern towards my situation. I understand that in France, the hotels are responsible for any accident on their property. Inside: the floor in the ladies room was dirty. The carpet in the bar area was old and dirty (vacuuming took place around 23.30 when we were having a drink!?? ), the table next to the bar was old and dirty, the breakfast room was not in good shape (walls, carpet). My bedroom was full of ladybeetles (coccinelle) and the lady at the reception acted really surprised (while in fact you could see them everywhere). I luckily got an other room. The hairdryer in the room was dirty. The 2nd entrance card was not correctly coded so at night when I came back in the hotel it had to be recoded again. No apologies were offered for the inconvenience. Not printing the invoice because of the environment is not customer friendly if the customer really needs the hardcopy invoice for expense claims. Then the customer need to print it himself so it doesn't really matter. So I would recommend to change this rule and only print the invoice on request of the customer. Beautiful and nice was the outside area with the pingpong table and the badminton. We liked the hotel but as mentioned, two things were broken in our room and when I spoke to reception, no one was available to deal with these. Also I accidentally left a white linen shirt on the bed and phoned to report this, but was told it had not been handed in by the femme de ménage which I find extremely unlikely. My reservation was prepaid. I had 2 reservation. 1 for 1 night and 2th réservation for 2 nights. At check in they dus not had any reservation. I took me a long, long time before I finally was checked in. But the person at the front desk was very polite and help ful. The stay was fine - very few people in the hotel. Only problem was that my assigned room had not been cleaned, but I was quickly given a different room.